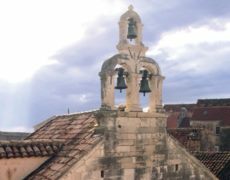 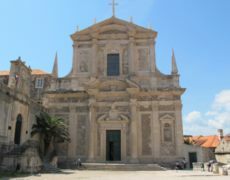 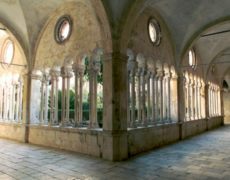 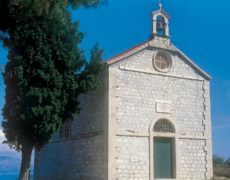 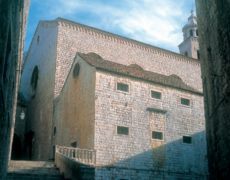 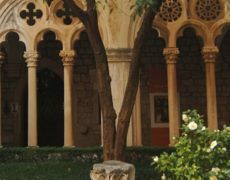 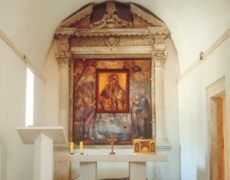 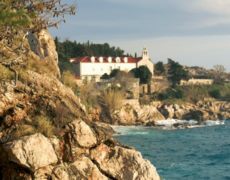 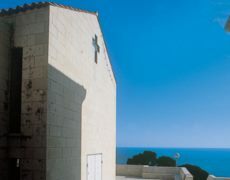 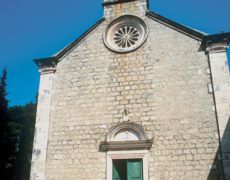 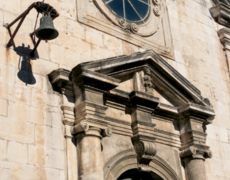 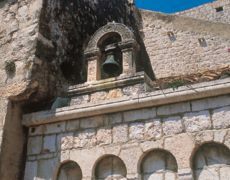 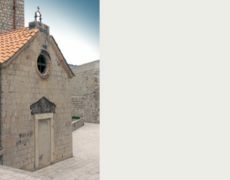 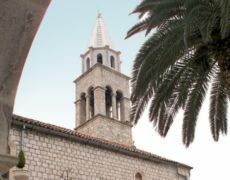 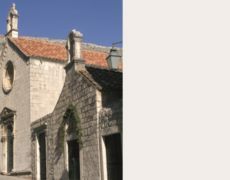 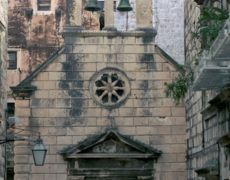 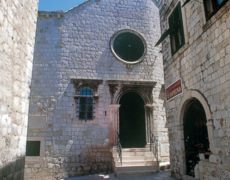 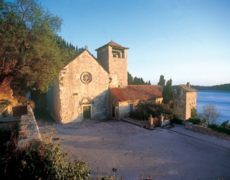 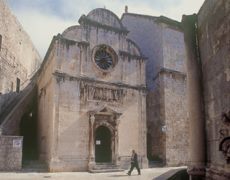 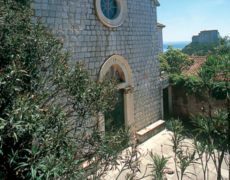 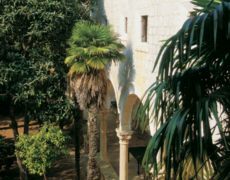 through frequent restorations of the single nave paleo-Croatian church dating back to the 9th and the 11th centuries. 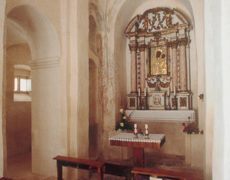 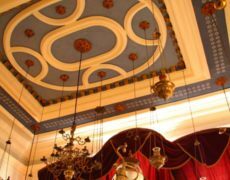 The last interventions were completed in 1787 as testified by the year carved in the lintel stone. 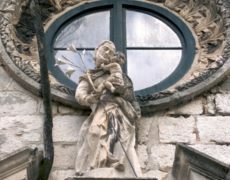 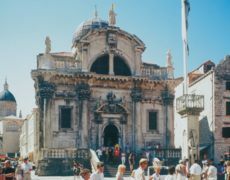 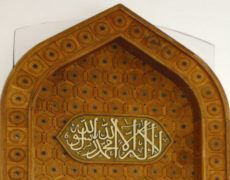 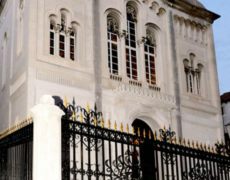 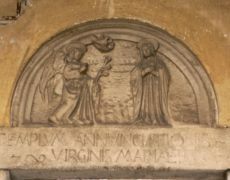 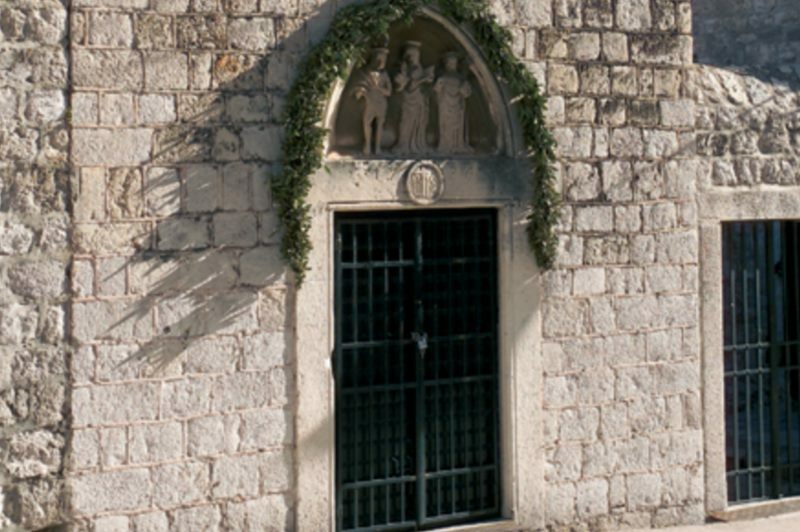 The statues of the saints carved in the Gothic style in the lunette above the door date from the end of the 15th century and are ascribed to the Petrović brothers. 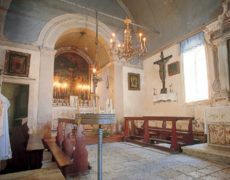 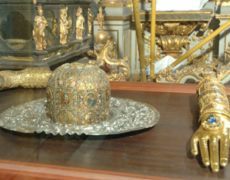  Services are no longer held in the church. 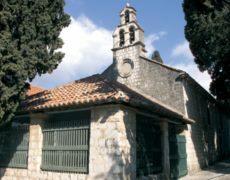 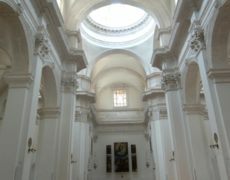 It is now used as a gallery.